Shepard Smith was fired from Fox News. 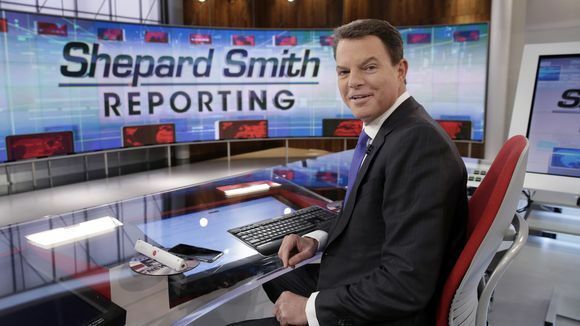 By John Kruzel on Tuesday, July 18th, 2017 at 3:00 p.m.
Fox News Channel chief news anchor Shepard Smith on the Fox News Deck before his "Shepard Smith Reporting" program, in New York. Fox News anchor Shepard Smith made headlines when he accused the administration of President Donald Trump of employing lies and deception to conceal the details of a June 2016 meeting between Trump campaign officials, a Russian attorney and several others. In what the Washington Post dubbed a "Walter Cronkite moment" — a nod to the newsman of yore revered as "the most trusted man in America" for his penchant for speaking uncomfortable truths — Smith launched into a TV tirade after a week of shifting accounts about the Trump Tower meeting left the Fox News anchor exasperated. "Why is it lie after lie after lie? If you clean, come on clean, you know?" he said to colleague Chris Wallace on July 14. "My grandmother used to say ... ‘Oh what a tangled web we weave when first we practice to deceive.’ The deception, Chris, is mind-boggling." Now here’s where things get really weird. Several days after Smith’s on-air editorializing went viral, a website called America’s Last Line of Defense posted a story claiming Smith had been fired by Fox News for criticizing Trump. The story then takes a wild turn, claiming Smith reacted to his firing like a violent madman in the throes of a Godzilla-like meltdown during which Smith threw things across the Fox studio, kicked barrells and punched Fox News host Sean Hannity in the nose, drawing blood. There are two major problems with this story, however. First, as the screengrab below shows, the day after Smith’s supposed firing and meltdown, his hourlong Fox News show Shepard Smith Reporting aired according to its regularly scheduled time. Second, and most importantly, America’s Last Line of Defense admits it’s a satirical site with a stated mission is to draw readers, especially conservatives, into mistaking its extraordinary conspiracies for truth. "While everything on this site is a satirical work of fiction, we are proud to present it to those who will have called it real anyway," reads the disclaimer. At least one website, American News -- which does not explicitly state its satirical intent (if it has one) -- appears to have taken the bait. As the previous work of our friends at Snopes makes clear, this is not the first time Smith has been the center of a hoax claiming he was fired from Fox News for being too controversial. Published: Tuesday, July 18th, 2017 at 3:00 p.m.
Snopes, "Shepard Smith Fired from Fox News?" American News, "BREAKING: Shep Smith Goes Ballistic, Punches Co-Worker After Being Fired By Fox News"